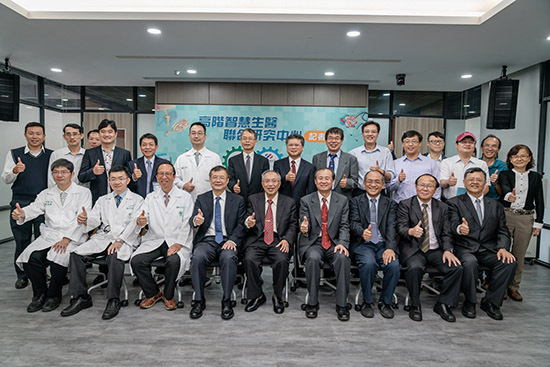 Southern Taiwan University of Science and Technology and Chi Mei Medical Center set up the High-level Joint Research Center for Intelligent Health Medicine, focusing on social needs, bringing the one-plus-one effort to its full potential, and building a new milestone for innovative medical services. 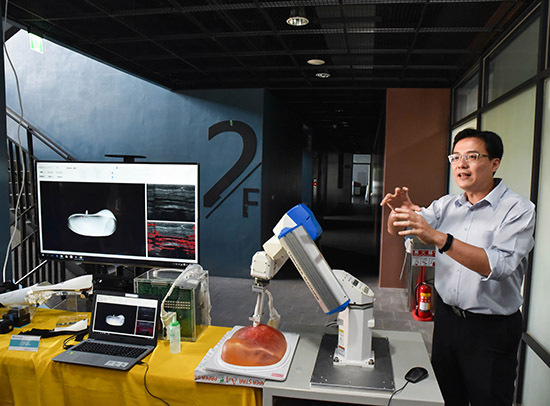 With a focus on the current and future needs of the society, the Artificial Intelligence (AI) Biomedical Integration Center of Chi Mei Medical Center and the Artificial Intelligence (AI) of Southern Taiwan University of Science and Technology combined the advantages of both, trying to bring the one-plus-one effort to its full potential. 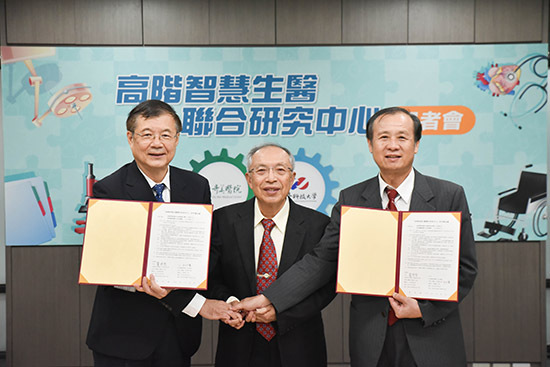 They jointly establish the High-level Joint Research Center for Intelligent Health Medicine at the Conference Hall of the South University of Science and Technology on the third day of December. 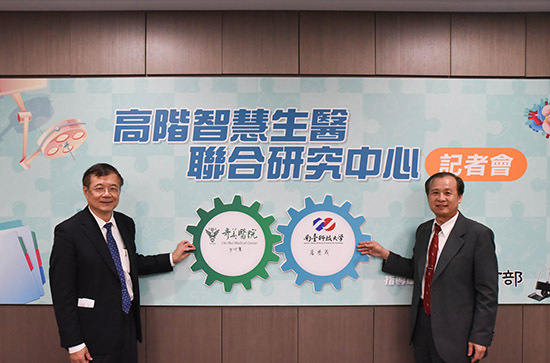 President Deng-Maw Lu of Southern Taiwan University of Science and Technology and Director Zhong-Ching Chiu of Chi Mei Medical Center co-hosted and kicked off the cooperation. The High-level Joint Research Center for Intelligent Health Medicine has received a maximum subsidy of NT$20 million from the Ministry of Education for its professional technology research and development and talent cultivation program. It was led by President Deng-Maw Lu of Southern Taiwan University of Science and Technology, as an integration of the College of Engineering, College of Business and Management, College of Digital Design, and College of Humanities and Social Sciences, supported by the 4 full-time faculty members of the Chi Mei Medical Center. 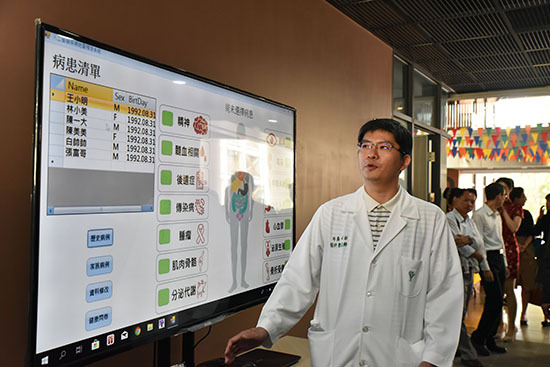 Altogether it is a cross-disciplinary team of 28 professors to combine the AI Biomedical Technology Development Center and the AI Biomedical Integration Center of the Chi Mei Medical Center into High-level Joint Research Center for Intelligent Health Medicine. The development of artificial intelligence (AI) has had a profound impact on the medical system. According to well-known research institutions, the introduction of AI does not pose a threat to professional doctors; rather, it is a great opportunity to combine its expertise with automation. Based on the analysis of medical big data, AI can provide many decision-making, set up auxiliary and predictive models, add existing medical equipment and technology aids to a design to make it intelligent, and bring forth more convenient and more accurate innovative medical treatment. High-level Joint Research Center for Intelligent Health Medicine will anchor its focuses on six technologies, including AI technology and value-added research and development, smart medical system integration, medical IoT application system development, smart medical imaging system, smart parental research and development, and smart medical care aids. R&D spindle. Each sector of the center has clearly planned the theme of annual technology research and development. In addition to planning for patents for research and development, the technology has worked with related biomedical industry to accelerate the realization of technology commercialization and to plan the resources needed for sustainable development. In addition to cultivating the ability of medical equipment regulatory certification, the center will also work on business model planning and international chain and training talents of doctoral level at home and abroad for high-level AI research and development. There will also be a guide for them in terms of innovation and entrepreneurship. 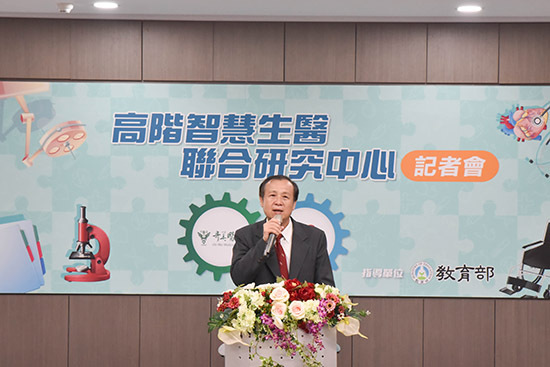 President Deng-Maw of Southern Taiwan University of Science and Technology said that the Elderly Service Education Building is about to be completed. The university has planned to set up the "Innovative Medical Materials and Care Technology Research and Development Center," "Advanced Care and Production Technology Research and Development Center," and "Silver Hair Data Analysis Center.” The project "High-level Smart Biomedical Joint Research Center" is planned to be set up in the "Inter-School Alliance Industrial Technology and Internship Building" as an integrated technology research and development, a link between industry and university link on an inter-school talent cultivation base. 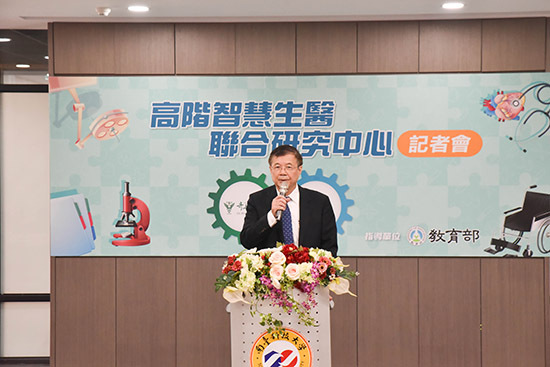 Southern Taiwan University of Science and Technology has set a long-term goal for the field of high-level intelligent biomedicine. 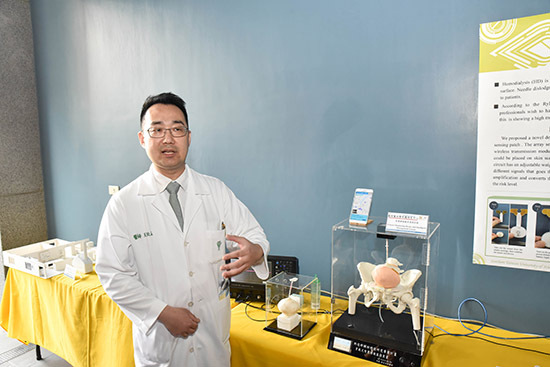 Together with Chi Mei Medical Center, it has established a cradle for high-end medical design talents in South Taiwan. It is expected to provide talents for the industry through solid practical experience and industry-university links. Relevant talents will continue to give back their industrial experience to the campus in the future. In addition to laying a foundation for sustainable development, they will continue to work to improve the overall medical industry in the southern region.